The zombie apocalypse has happened, but society has not yet recovered. In lower Manhattan, survivors have secured sixteen apartment buildings, which they now call the Colony, their sanctuary above the sea of zombies at ground level. Adults, who had their worlds figured out before the Emergency, grapple to reclaim any normalcy. Teenagers never had it figured out in the first place. Jeremy, known on the street as Deathwish, is a fairly good kid. But even good kids turn desperate when their parents can’t even survive. Fifteen years old with a bad attitude and a reckless streak, Jeremy learns parkour from Master Chueng. He accompanies teams into the abandoned parts of Manhattan to bring back supplies. And though his mother chooses to look the other way, Jeremy plays The Game: fighting zombies in the streets, gladiator-style, as others bet on him. So far, I’ve read some indie books that aren’t too bad. I’ve read some that I’ve really enjoyed. But none have earned my rave approval like Dead Sea Games. I’m not the only one who loves DSG. 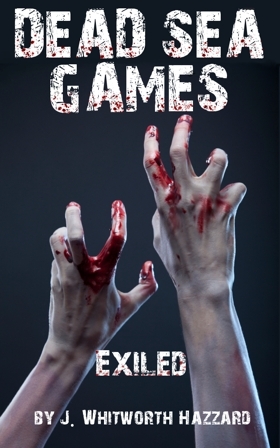 On Goodreads, the Dead Sea Games books have rated 4.73 out of 5 stars for Dead Sea Games: Adrift, and 4.70 out of 5 stars for Dead Sea Games: Exiled. Adrift has 4.6 stars on Amazon, and Exiled has 4.7. In Dead Sea Games: Adrift, Jeremy knows the Colony is a cruel joke. Just existing isn’t enough. But when two of their own go missing on an excursion, Jeremy is determined to bring them home. Dead Sea Games: Exiled picks up exactly where Adrift leaves off. He doesn’t even have time to heal before he’s accused of murder and runs to save his own life. Facing the Sirens, an all-girl gang, he decides what he’s willing to sacrifice for an even greater cause. J. Whitworth Hazzard has published these two of his Dead Sea Games quartet. Top secret intel has informed me that he’s currently writing the third book. His established fanbase is already gnashing its teeth in anticipation. This is big, people. If you’re reading this and you happen to be in the publishing industry, do yourself a favor and look into these books. Mr. Hazzard has caught the fad while it’s big, and has taken it in a completely new direction. Until you’re downloading the next book because you can’t stand it any longer! You have to know what happens next! I honestly don’t know why these books aren’t more known. Obviously, word hasn’t gotten out about them. They aren’t your average self-published novels. Sure, they’re not for all audiences. Seen through the mindset of a hardened teenager, they have mature language and situations that aren’t appropriate for younger audiences. Mr. Hazzard doesn’t sweeten it for anyone. I can’t imagine many kids in that situation watching their language or acting puritanical around the gang leaders. The writing is tight. The books avoid two things I hate: deus ex machina, and clichés. Even Master Chueng (first name is Carlos) is half Chinese and half Filipino, skilled in Eskrima and Kali fighting styles. Extra time isn’t spent trying to explain why zombies happened, or what the government is doing about it. That story has already been told again and again. These books aren’t really about the zombies; they use zombies as the backdrop. Mr. Hazzard tells the inner story, from one person within that sea of walking dead. Right now, each book is only $0.99 on Amazon, and they are worth much more than that. They’re quick reads which will leave you satisfied. 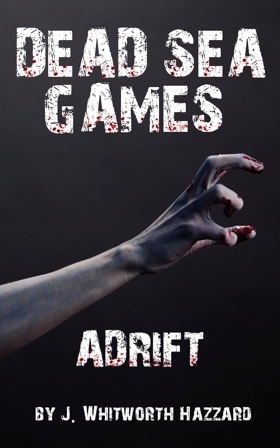 This entry was posted in Other Notable Authors and tagged dead sea games, horror, indie fiction, j. whitworth hazzard, zombie fiction on June 6, 2013 by Marissa Ames.